CR Area Storage is Going Green! 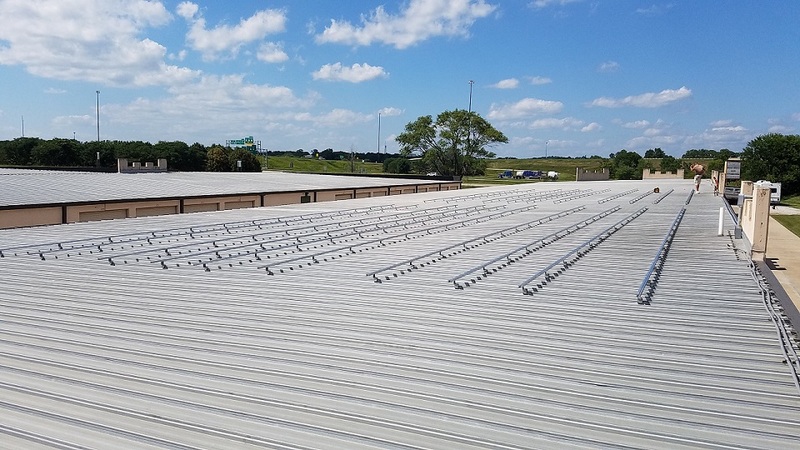 This last week we started the process of installing a 56.7 kW Solar Power Array at All Stor Fort Knox Storage at 5300 J Street SW, Cedar Rapids, Iowa. We plan to install solar power at all 3 of our area storage facilities in Cedar Rapids, Marion, and Palo. These Solar Array's will generate 100% of our energy. We have taken several other steps to help in our efforts to go Green. First is new and more efficient LED lighting at each of the facilities, this has helped significantly reduce our energy consumption. Second, is our new software and web site which allows for online payments, and unit reservations. It also has the ability for emailed or text messaged notices and digital signatures. This has reduced the amount of paper we use in our office significantly. Third is our geothermal cooling and heating in our office and temperature controlled storage areas. In total CR Area Storage has been approved to install more than 130 Kilowatts of Solar Power which over it's 25 year life span will remove 3,300 Metric tons of greenhouse gases from the atmosphere. Which is the equivalent of 697 cars driven for 1 year or 7,908,964 miles driven by an average vehicle.